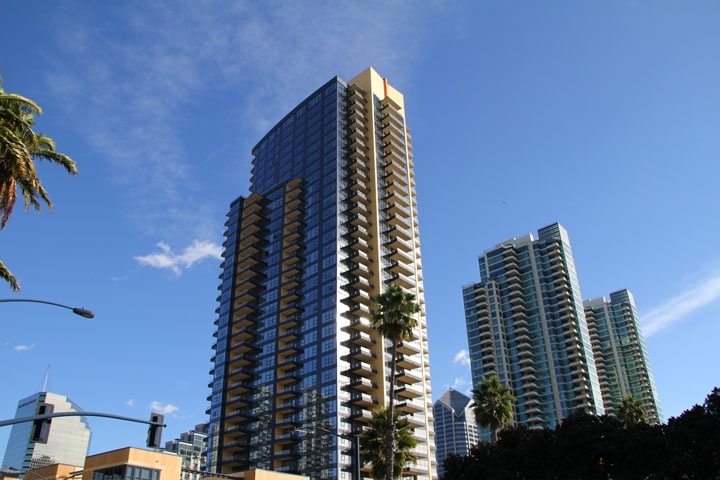 The Bayside in Downtown San Diego is located at 1325 Pacific Highway in San Diego. If you are looking for a condo in the downtown area of San Diego then the Bayside is worth checking out. Built in 2009, over 70% of the building has been sold out with new construction and re-sale condos currently for sale. HOA dues are based on the square footage of the nit and typically average $700.00 a month. Below are the current Bayside downtown San Diego condos for sale. If you are looking for a downtown San Diego condo for rent please visit our San Diego rentals page. We also provide all sold Bayside condo sales at our San Diego Sold Search. All San Diego homes and San Diego Condos for sale are also listed below in the various San Diego neighborhoods. Questions? Let our team of San Diego Realtor Associates help you. Please contact us at 1-888-990-7111 today.